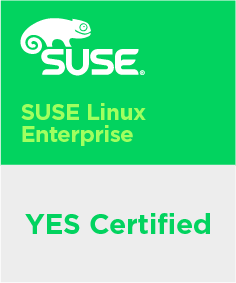 With the official release of SUSE Linux Enterprise 12 SP4, the SUSE Partner Engineering team also announces the availability of the YES Certification Kit version 8.2 for system certification. This new System Certification Kit (SCK) adds support for SLE 12 SP4 including XEN and KVM Virtualization. In addition to Network Server and Workstation projects, SCK v8.2 has added a new test project aimed at certification with SUSE Linux Enterprise Point of Service 12. This project uses SLES 12 SP4 as the base OS and has certification tests tailored specifically for POS systems. SCK v8.2 also enhances existing certification test modules to better align with SLE 12 SP4 functionality and new CPU and associated HW architectures. Upgrading to the SCK v8.2 will not require new equipment or hardware, and does not require an upgraded TestConsole operating system. TestConsole currently runs on SLE 12 SP3. The SCK 8.2 is to be used for all future certification testing effective immediately. There is however a grace period for certification testing efforts that began prior to the release of SCK v8.2. The deadline for submissions with the now legacy SCK v8.1 is January 18, 2019. After this date, no submissions generated with SCK v8.1 will be accepted. This new SCK should also be used for certification with all additional (currently supported) operating systems including SLE 15, SLE 12 SP3, SLES 11 SP4 and SLEPOS 12. General support ends for SLES 11 SP4 on March 31, 2019; this will be the last SCK to provide support for the SLES 11 product. All SLES 11 SP4 certifications should be completed and submitted before March 31, 2019. SUSE hardware partners with a current Service Level Agreement (SLA), have access to the new SCK v8.2 for testing and certification of Servers, Workstations, POS Terminals, Desktops, Laptops and Virtualization Environments with SLE 12 SP4 and may submit subsequent test results to request SUSE YES Certification.